This week’s storyteller is Gemma. Gemma tells us how she became a volunteer driver for Contact the Elderly. She describes the benefits of attending the charity’s free monthly tea parties for everyone involved. I’d decided that I wanted to give something back to my community. I saw a poster advertising the tea party scheme on the tube and when I got home I visited Contact the Elderly’s website to learn more about the prospect of volunteering for them. Once I had contacted its National Office to show my enthusiasm for the project it was a quick and easy process. They got back to me to tell me about a tea party group being set up in my area within the next few months and asked if I would like to help make it a success. It was great timing really! I don’t have any living grandparents and I just thought it would be good to join others who feel the same way as I do about providing for elderly people in the community. I thought I could perhaps be a grandchild for those who don’t have any regularly visiting them. The process of becoming an official volunteer driver for Contact the Elderly was simple. I went through a standard DBS check (formerly CRB) and the charity helped me fill in the forms to send off. And that’s all there was to it. After my paperwork was processed I began my volunteer driving. I started collecting a lovely lady called Betty. When we first met I knew that I didn’t want to make her feel uncomfortable. I treated her just as I would anyone else, asking her how she was doing and talking about the weather! I began to gauge from her reactions and responses if she wanted to chat or not. Now we’ve developed a routine I call Betty a few days before an upcoming tea party just to check she can still make it and to confirm a pick up time. If Contact the Elderly is short on volunteers I’ll pick up other older guests in the area so they didn’t miss out on the scheduled event. I always make sure I pick Betty up at the time we’ve agreed. The idea is that these tea parties are centred around the elderly people they cater for. The arrangements are made to suit them as individuals so that they can socialise with other members of the community in a relaxed, informal environment. Betty and I drive over to the host’s house who provides us with a lovely spread of sandwiches, cakes and tea. We sit and chat about everything and anything for two hours. Everyone then says their goodbyes after which I drop Betty home. 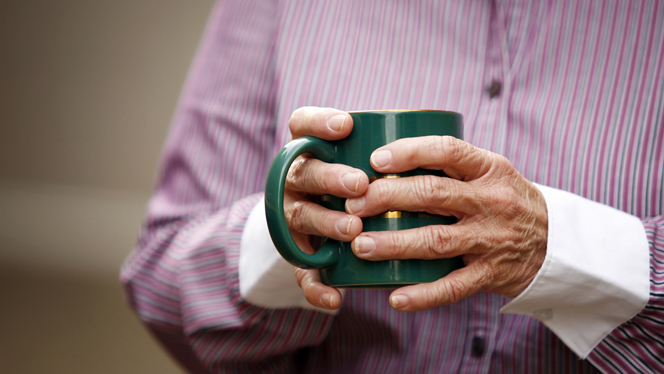 The tea party scheme is aimed at those who live alone without nearby family and friends. Betty has children who live around the country with whom she has regular communication however, being involved in the tea parties gives her added companionship which is an important part of leading a fulfilling life. There was one Christmas where we had quite heavy snowfall and she was on her own over the Christmas period so I dropped in for a cup of tea to give her some company and make sure she was alright. I feel we’ve formed a friendship. I’ve offered to be there if she needs me or if she wants to talk but if she doesn’t then that’s absolutely fine. Recently I celebrated my birthday and she gave me a little present and a card which was lovely. I think the elderly who attend our monthly gatherings really enjoy interacting with younger people. It’s a good way for them to share their stories with new listeners but also it provides us volunteers with an insight into their past. We learn new things from them all the time. I’ve met people from many walks of life. Many of our tea party attendees have been pointed towards the scheme by friends and family who live far away and can’t visit often whilst others have been encouraged to join a group by health professionals and social care workers. I know that some of the other drivers I work with are in the social care industry which means it’s easy for them to recommend the scheme to the elderly they support who may be in need of some company. Seeing how much the guests really enjoy themselves at the tea parties is wonderful. Many of them don’t have much company at home and often limited mobility prevents them from getting out as often as they’d like – having the tea party once a month gives them something to look forward to. We certainly try and make them feel special. If there’s a birthday coming up we make sure we get a card. I really hope that I’ve made a difference to Betty’s life. She often says she’ll call her daughter after the tea party to tell her about the lovely time she’s had. I would definitely recommend, and have recommended, the volunteer scheme to others. It’s only a few hours a month for a driver, or once or twice a year for a host, which isn’t much time to donate at all really, and I feel genuinely happier as a result of being involved in Contact the Elderly’s work. My mum has attended a few of the tea parties with me and she’s seen what the benefits are first hand. There’ll come a time when she’ll live on her own, when I move out, and I’m sure when she’s older that she would be involved in the scheme. Founded in 1965, Contact the Elderly is the only national charity solely focused on tackling one of the greatest challenges facing society: loneliness and isolation among our rapidly ageing population. Supported by a volunteer network, the charity organises free monthly Sunday afternoon tea parties for small groups of older people in the homes of volunteers across England, Scotland and Wales. 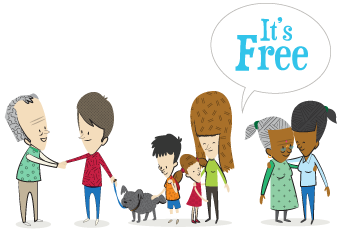 Contact the Elderly has over 500 tea party groups nationwide that provide regular, consistent and vital friendship every month for over 4,000 older people. Visit the volunteering section of their website, email [email protected] or call 0800 716 543 to find out how you can help the elderly in your community and join the 6,500 volunteers who are really making a difference to the lives of the lonely. If you have a story about how volunteering with the elderly has changed you view on life please get in touch .